Overall nice stay. 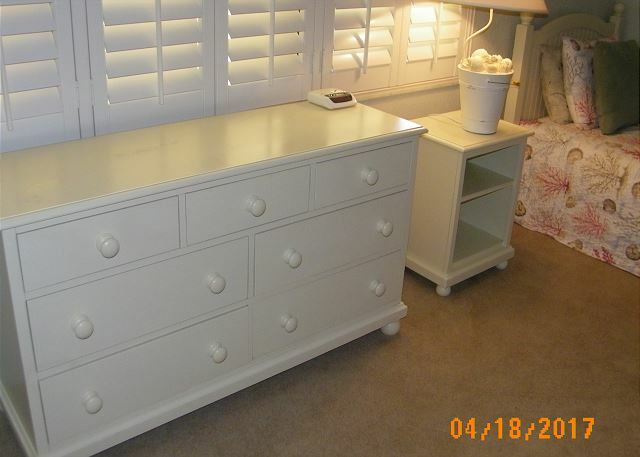 Unit clean and furnishings alright. 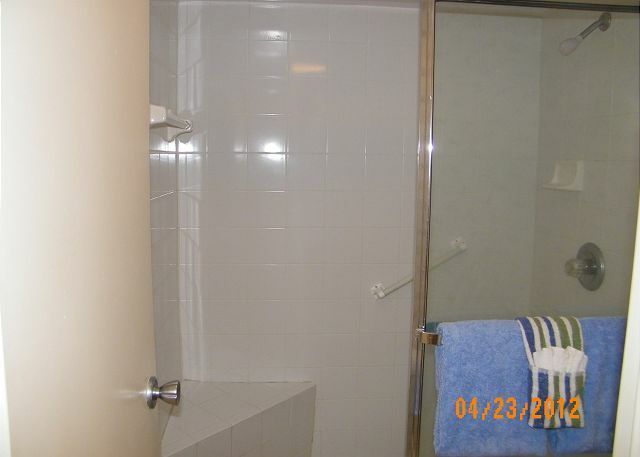 Bathrooms not updated but master had large shower. 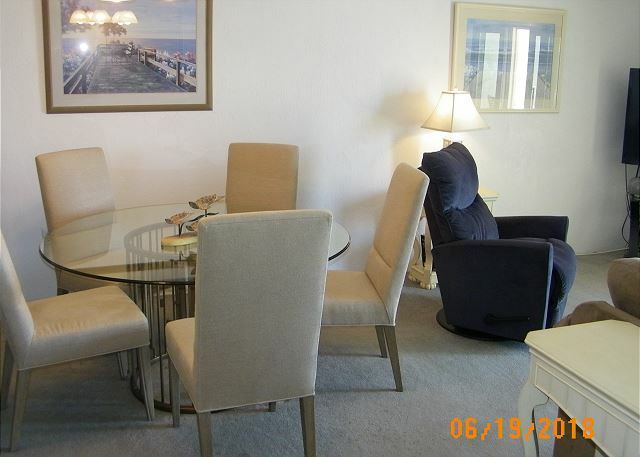 Directly overlook beach with small patio big enough for 4 chairs off living room. Was in the no drive area of beach, about 1/2 mile south of cutoff. Beach was clean and uncrowded in Aug though weather hot and luckily only one afternoon storm. Complex seemed about 1/2 full or less based on parking lot. Pool was larger than most complexes which was nice Unit had plenty of towels but no beach chairs and washer/dryer was not in unit but rather coin operated down the hall. Management was quick to reply to any questions. General area was good, about 2 miles from grocery store and most beach shops and 5 from Canaveral National seashore. great location. Unit is a little outdated but was mostly clean. Updated TV's were a plus. We stay at this condo every year and love it. The grounds at Castle Reef are beautiful and well kept. The office staff is very accommodating. 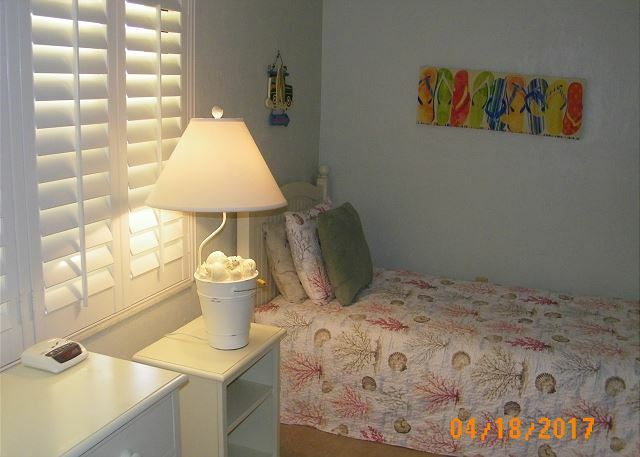 The condo is very well stocked and the furniture is very comfortable for 6 people. 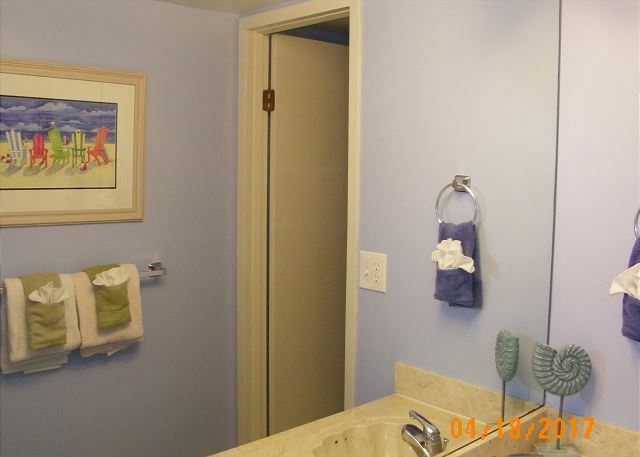 The bathrooms need to be cleaned up (recaulked) and updated. The floors need to be updated as well. There is carpet in the bathrooms. 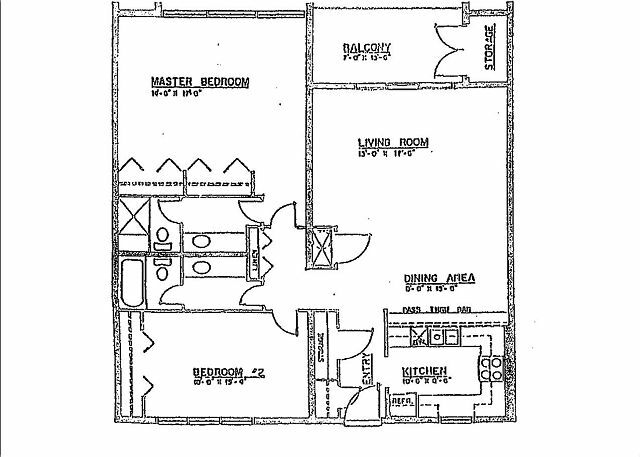 The carpet is old and stained throughout the condo with different colored carpet in different rooms. Tile or laminate wood would be much more conducive to cleanliness for renters even if it were just in the kitchen, walkways, and bathrooms. 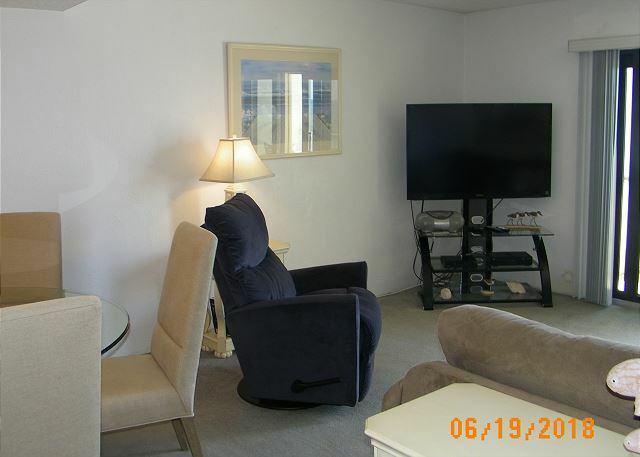 Our recent stay at Castle Reef Condos was exceptional. We have stayed at Castle Reef many times in the past 15 years and have never had a bad experience. 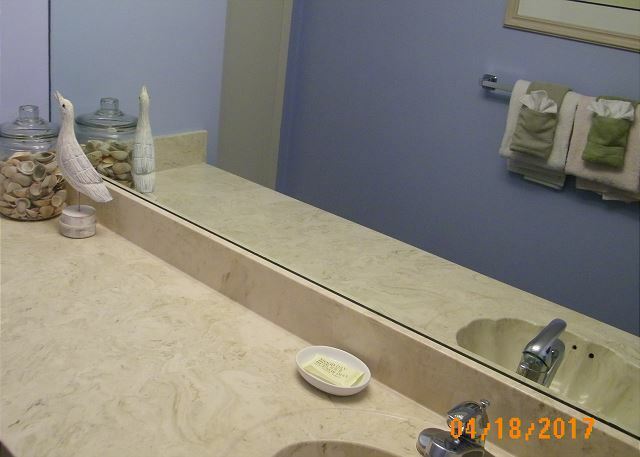 The property is beautifully landscaped and very well maintained. Our unit was well stocked with everything you need for a relaxing stay away from home. We would recommend Castle Reef to anyone. Castle Reef is located in a perfect area with food store, restaurants, and anything you need near by. The Condo was very clean, spacious, and had everything we needed. The beach was perfect as was the pool area. Nice and quiet, it was truly a relaxing vacation for our family! We have stayed in this unit 3 years in a row. It is just right for our family. Very cozy. Beautiful view. Stocked with games, sand toys, beach chairs, etc. A great place to stay in a somewhat quiet and charming city. 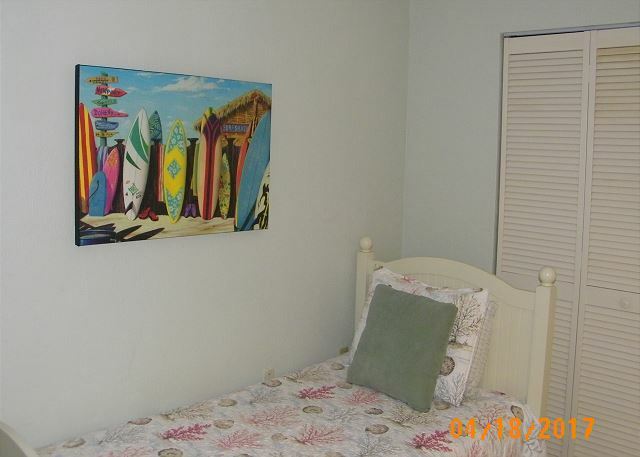 Property was located on a quiet end of the beach and is very well-kept. Great ocean views, nice pool, friendly staff. Would definitely stay again and recommend to a friend. This is our 12th year here, and have found CR friendly with many activities. Had a wonderful stay! The only complaint was the twin mattresses in the guest bedroom - def need replacing! As I wrote in the hard copy, given to Cindy/David we were thrilled with the view, location and the basic condo presentation. We struggled, though, with the carpet, trying very hard to maintain its very clean appearance and not tracking sand, etc. into the unit. I suggested that, eventually, they put tile down to minimize the accidents on the carpet. We did spend some time cleaning up little spots that were previously there. We had an ocean view this time and it was so awesome to wake up each morning and have breakfast watching the ocean roll in. We stay there every year. Always love it. Very well equipped and stocked. We have been coming to New Smyrna Beach for vacation for 18 years! For the past 10 years we have always stayed at Castle Reef! We love this condo! It was beautiful and clean with amazing views! Plenty of room for a family of 6! 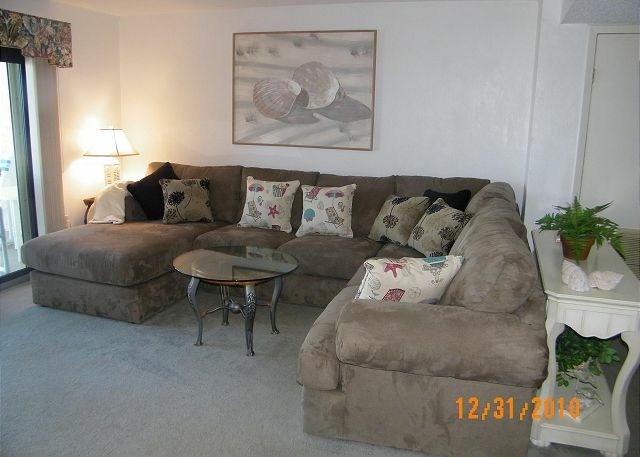 The owners have equipped everything in this condo with comfortable furniture, TVs, cooking items, etc. The storage unit had sand toys galore, umbrellas, chairs and fishing poles. The pantry closet is well stocked with games for the family. The pool was perfect and not crowded. The beach was amazing and not crowded also! The manager was very polite and helpful. The court yard and landscaping are beautiful! All the restaurants, attractions and shopping are very convenient! We are definitely coming back next year! Nice vacation condo rental. Property and location were wonderful. 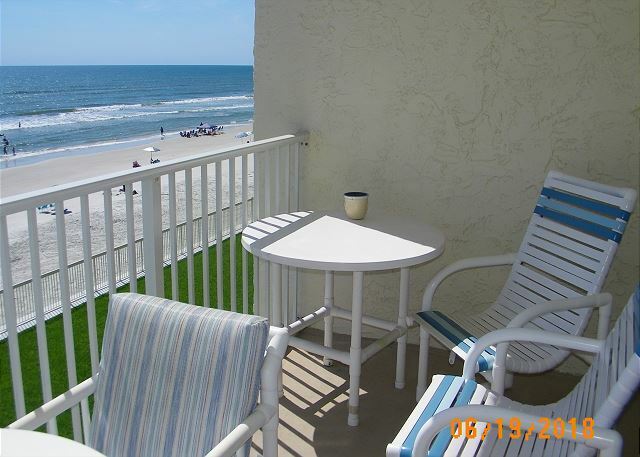 Oceanside condo had great views and was very comfortable and had everything needed for a super vacation week. 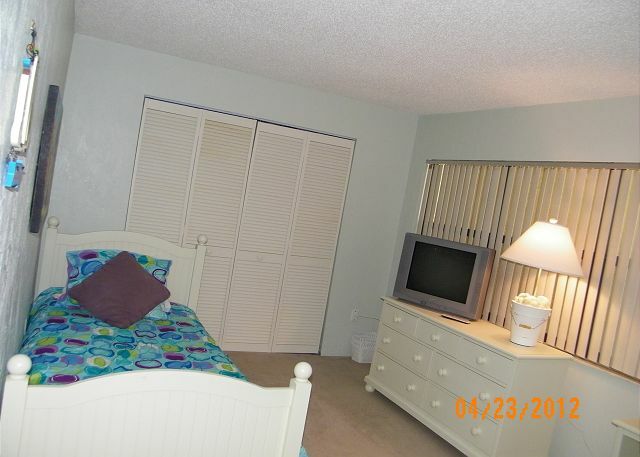 Lovely complex with great beach access. The complex and condo are very nice. Clean and well decorated. The pool is large and crystal clear and the beach location is ideal. We have stayed at Castle Reef several times, mostly 4 day/3 night stays when available. The location is as good as it gets on the no drive end of NSB, easy access to everything. The 2 bed/bath oceanfront we just stayed in was awesome...of course great view, but much larger than other comparable condos on the beach, very nicely furnished, etc. We, hopefully, will return for several weeks this summer/fall and maybe a month or so in the winter/spring. We are now both newly retired from OCPS and hope to spend more time at NSB, preferably Castle Reef. It's always an amazing experience. Castle Reef is well kept and maintained. The condo itself has comfortable furniture. 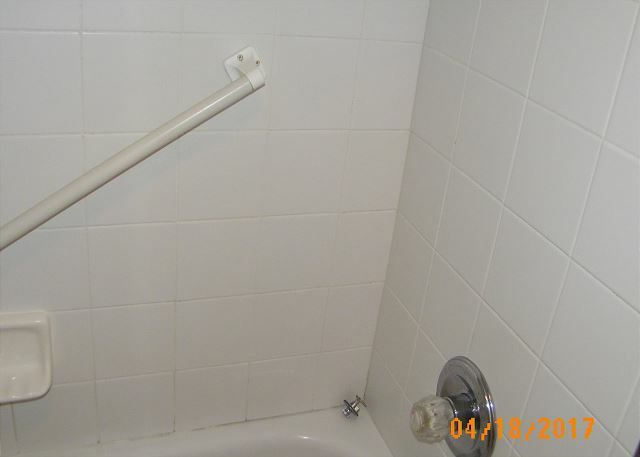 The carpet and bathrooms are past due for improvement. The carpet is old and stained with different colors in each room. Flooring (wood, laminate, or tile) would be more practical for a rental condo and easier to keep clean and looking nice. The condo is well stocked. 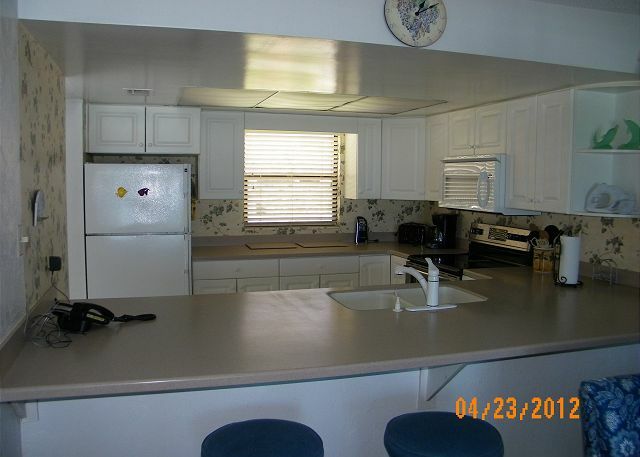 The kitchen has most everything imaginable and the linen closet is full of towels, sheets, blankets, and pillows. We always enjoy our stay there. We have been coming here for years. Castle Reef is always clean and the people are great. Great location and great family vacation spot. a guest from Winter Park, Florida does not recommend this vacation rental. The association at this complex makes it difficult to have a relaxing time. They will not let you hold or drink bottled water within 4' of the pool, don't have any laughs in the evening on your private porch, no matter how quiet you are and don't even think about walking or even looking at the grass...One day everyone was running up from the beach in a lightning storm and security would not even help with opening the gate to get in. 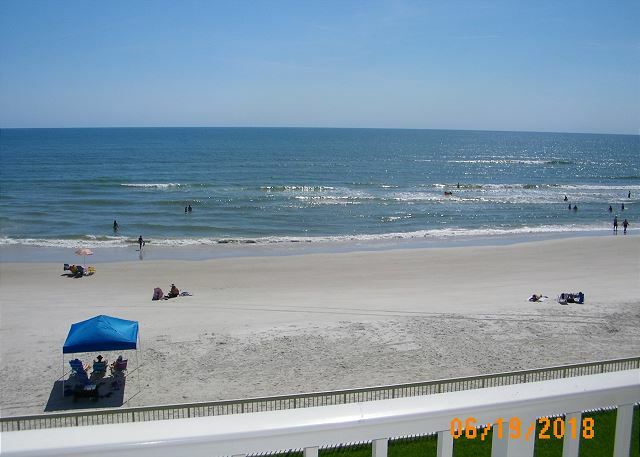 Castle Reef is an amazing condominium that accentuates the true beauty of New Smyrna Beach. It is in the middle of a variety of restaurants from casual to fine dining. We always enjoy eating at J.B.'s, Breakers, and The Garlic. The Castle Reef property is immaculate. The grounds and pool are well maintained. The Castle Reef "crew" ensure a safe environment for you and your belongings. There is no driving on this part of the beach which makes it safer and more enjoyable, Condo 331 is very comfortable and well-stocked. The furniture is up-to-date and practical. 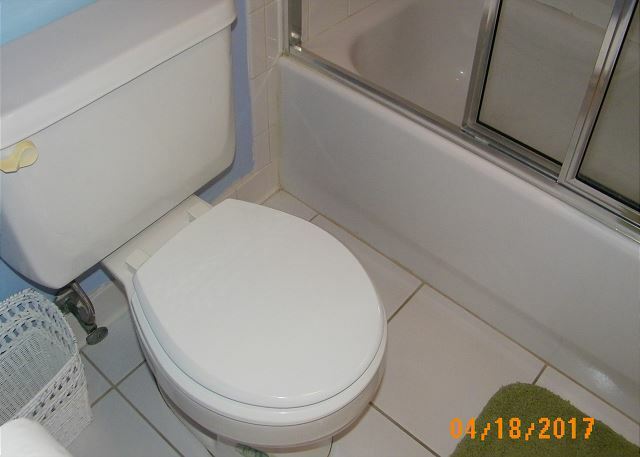 The carpet and bathrooms are out dated and should be upgraded. Our over-all experience each and every time we go is awesome. We have made new friends who return to Castle Reef each year as we do! We discovered New Smyrna Beach almost 20 years ago. Since that time this is the only beach we go to. We stay at Castle Reef every time. Condos and grounds are always immaculate and the management staff is wonderful. A great place to relax with the family. Our family returned to Castle Reef after spending 14 years here beginning in the 70's. Now our grandchildren are experiencing it. Loved my unit. Large and updated and fabulous views. Will recommend it to friends. Will book again next year. Our family has vacationed at Castle Reef for several years. 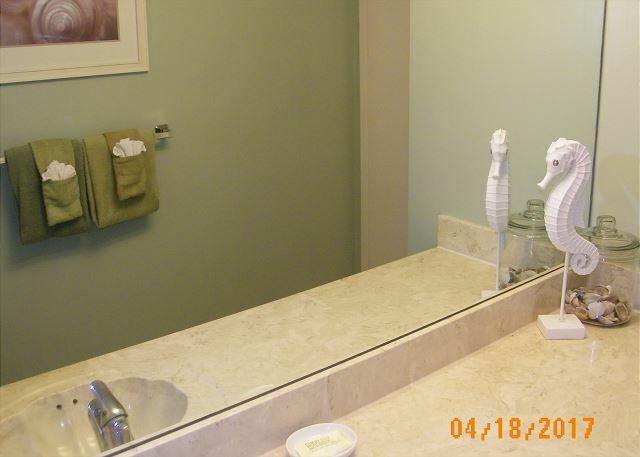 We continue to rent our condos there because it is an outstanding place to stay. 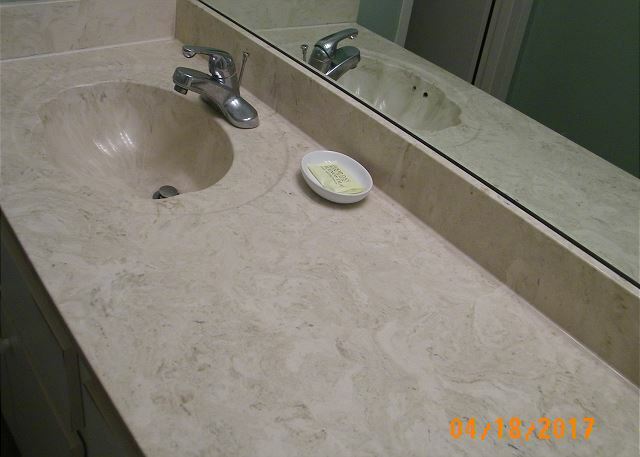 The staff is always courteous and professional and our condo is always clean and well maintained. We are look forward to our stay each summer! Prepare to be wowed by the ocean front location! Enjoy the waves, the beautiful sunrises, the fantastic beach, the friendly atmosphere, and of course the dolfins. A great vacation experience. Loved it!